Dan Henry describes himself as “The Collector,” a man whose passion for all things unique and interesting drove him to a point where he simply had to know all he could about them. 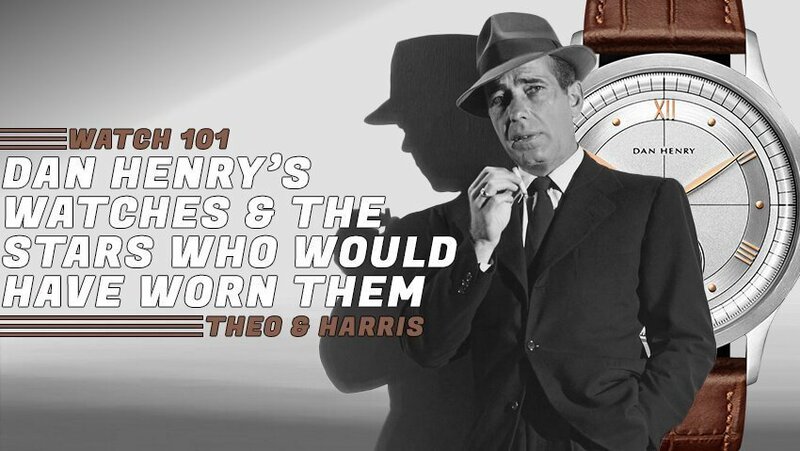 Through this, and the creation of his site Timeline Watch, he eventually went on to found his own watch brand, intent on bringing some of the decades of distinct watch styling he’d come to know intimately to a wider audience, especially those who might otherwise be hesitant to get into vintage watches. 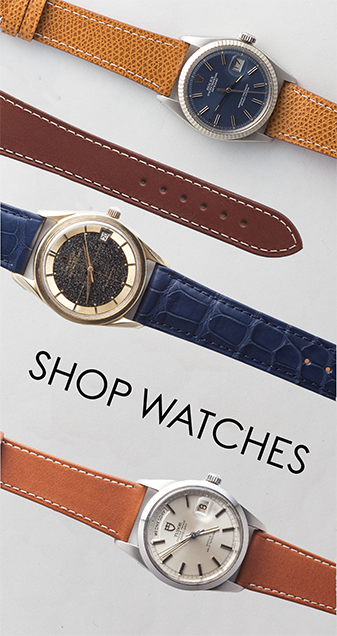 The brand has gone on to become a bit of a cult favorite, the sort of brand that enthusiasts love because it offers them some impressive vintage aesthetics, but in a watch that can take a serious beating if need be (certainly more so than in an actual vintage piece). With that said, I want to take a look at three of the most interesting pieces in their lineup and talk more about some of their major design cues and history. The 1939 is one of the most distinct and, arguably, most directly vintage looking pieces in the entire lineup. Where many of the others feel classic, this one feels inherently old. 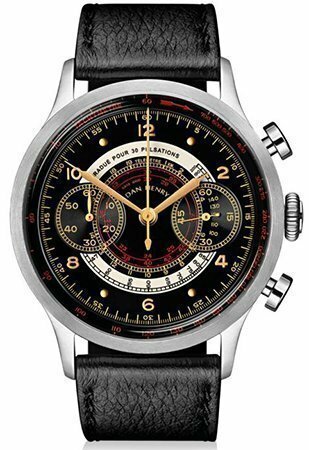 It features a gilt dial with a pulsations scale inboard, as well as a two-register chronograph layout (only two subdials). There are a number of red accents on the dial, including at the very edges of the outer scales and at the center of the dial, helping to add some further contrast. The 1939 is based on vintage military chronographs from the 1930s and early 1940s such as the Tissot 33.3 Chronograph, which features a very similar dial layout and color combination as the white dial variant of the Dan Henry, and goes to show a bit further the degree to which the brand is committed to maintaining as much authenticity as possible. The 1964 Gran Turismo Chronograph is one of Dan Henry’s newest releases, and it’s a model I became obsessed with almost instantly, but not for the watch itself. The first thing to hit me when I first laid eyes on the Gran Turismo wasn’t the Panda and Reverse Panda dial options, or the large, bold pump pushers, but rather the bracelet – it isn’t too often you see brands at any price point stocking their watches with Beads of Rice bracelets anymore, and certainly not in the sub-$500 price range. This immediately stood out, and has kept me enamored ever since. With a name like Gran Turismo, the watch wears its automotive racing inspiration on its sleeve, but unlike the 1939, whose roots are very easily traceable to certain specific models, the 1964 is a bit more abstract. In many ways, it feels like the best bits of watches like the Heuer Carrera, Omega Speedmaster, and Rolex Daytona all combined, with a dash of something extra. The result is a piece that is impressive in its simplicity, and yet remains bold in its design all the same. The 1972 Chrono Alarm is the brand’s newest release, and it’s one that Christian was able to spend the day with while racing Porsches in Atlanta. As he points out, the design cues seen on the Chrono Alarm are very clear to those familiar with vintage Porsche Design watches from the 1970s and 1980s. 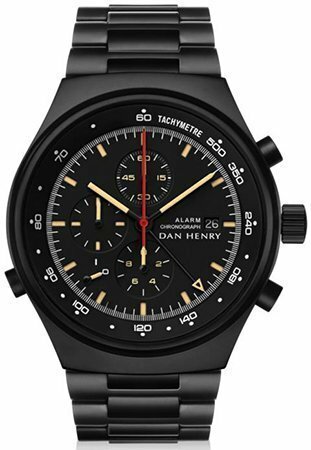 Its lugless design, blacked out PVD coating, and chronograph function are lifted pretty straight from those watches, but the piece isn’t without some of its own design choices. Chief among them is the decision to employ a sandwich dial, a dial in which there it an entire disc of lume behind the main dial, and the main dial features cutouts such that, once it is placed over top, the indices are lumed from underneath, rather than as a paint on top. It’s an effect seen frequently in Panerai watches, but isn’t often seen outside of them. The other major difference is the inclusion of an alarm function, thanks to its Miyota OS80 movement. This adds a layer of practicality to the watch that is a welcome change from its inspiration, and one that makes it all the more worthwhile. 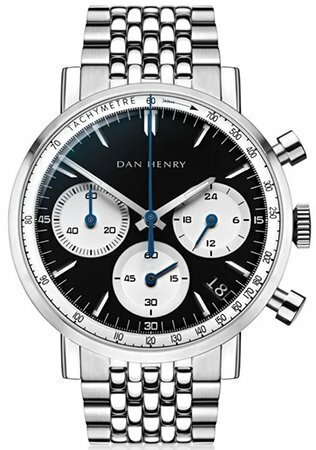 Alright, geeks, those are my three deeper dives into some of the members of the Dan Henry watch family. 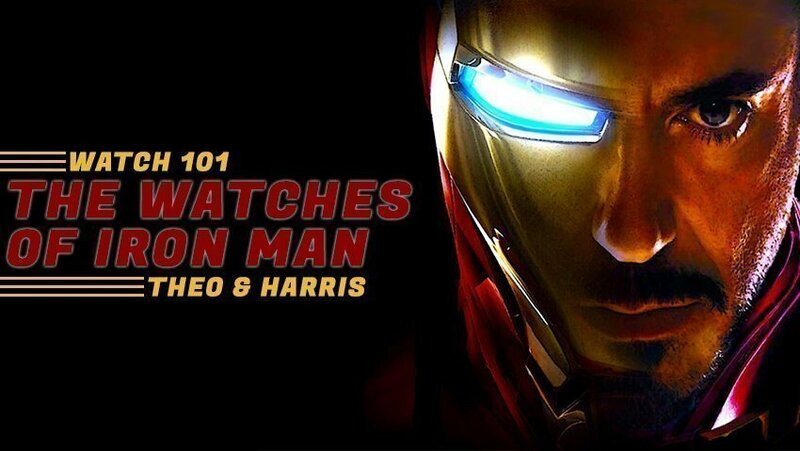 Let us know your favorites and, as always, keep it classy, watchfam.